Rusalka's Song to the Moon by Patrick Nicholas Fine Art Photographer. Photo Shooting in Vulci, Tuscany. Rusalka was suggested to me by Ania, a professional singer who had herself performed the role in Dvořák’s eponymous opera. 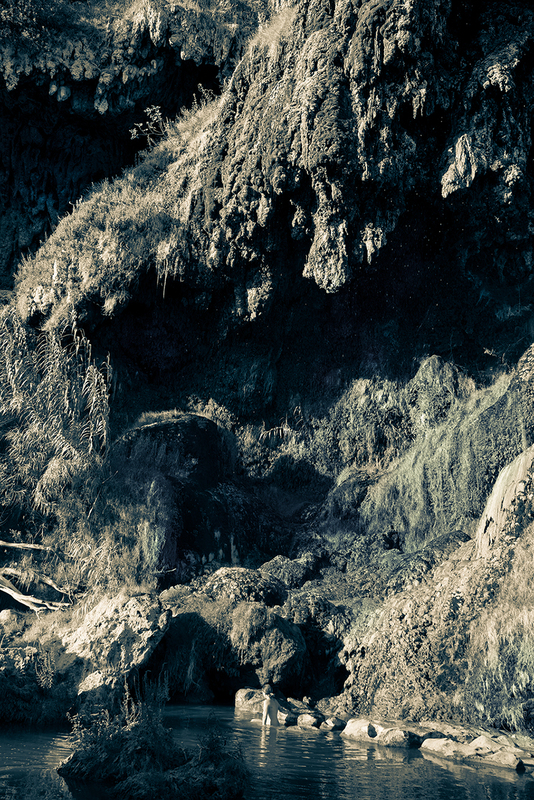 A folk tale found in the slavic world akin to Andersen’s Little Mermaid and equally tragic. Rusalka is a beautiful water sprite living in a lake who falls in love with a handsome prince, they kiss even though she knows this will result in his death, he dies and she is damned for ever as a deathly demon. 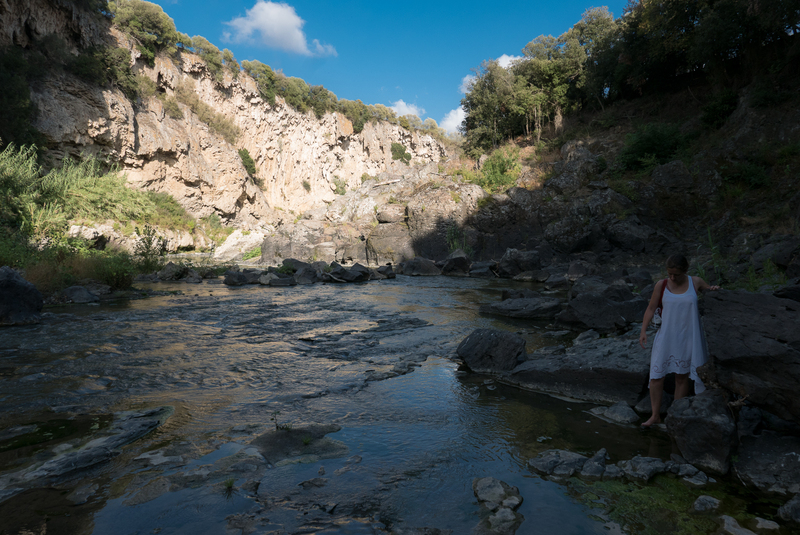 We went to one of my favourite locations, Vulci, but it was at the height of the August holiday season in 2016 and though usually deserted, this time there were several people around. We had to wait till the sun began to go down before we were on our own, by which we were closer to moonlight than I would have liked. However, with a tripod I achieved the effect I was after – that the water should look like a dress or even a bridal train. Aubrey Beardsley with his attention for balancing white and black was, as it were, by my side when I was composing the relationship of the rushing water to the reclining figure of Rusalka on the basalt rocks. 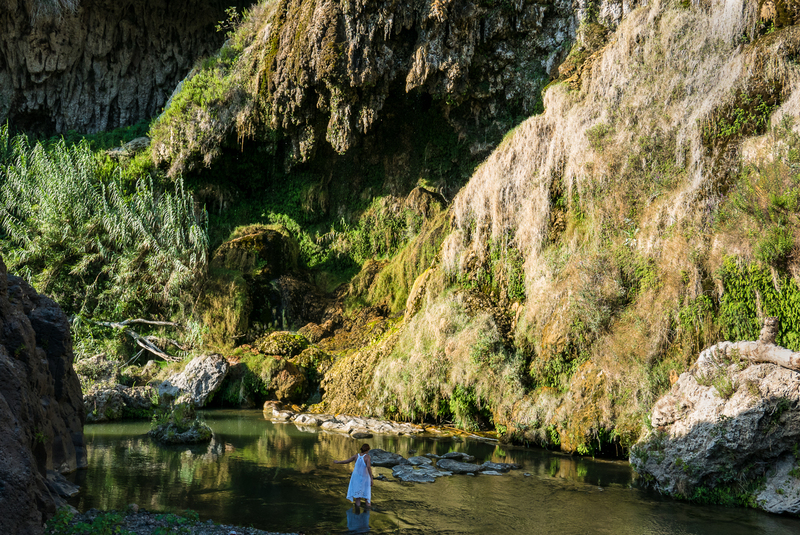 She has her feet in the stream, she has to, because should Rusalka leave the water entirely she will become mortal. 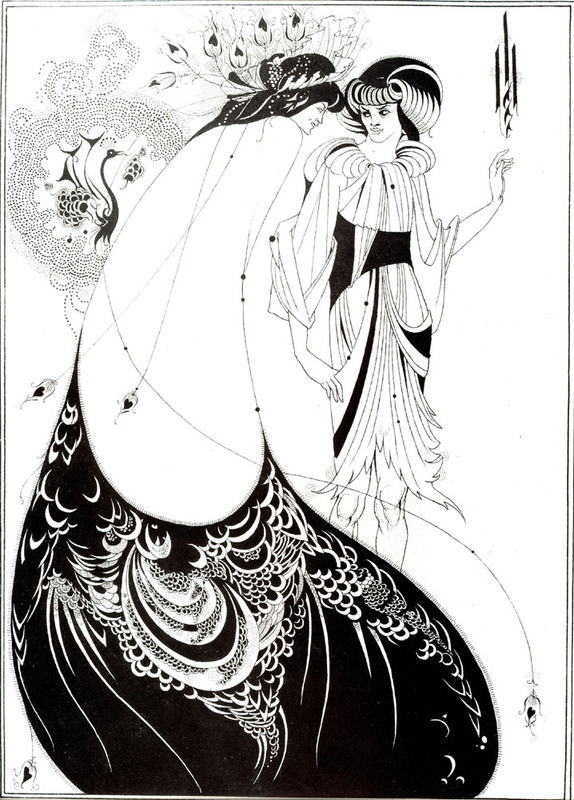 Beardsley’s ‘Peacock Skirt’ from the Salome illustrations of Wilde’s play, is in what he called his Japonesque manner, a hymn to the importance of line. A huge poster hung in a friend’s room when I was at school and made a big impression on me as a teenager. The original is a minuscule 22.8×16.3cm, line block print on Japanese vellum.